You can find resources on and through this site to help back up all these activities (e.g. 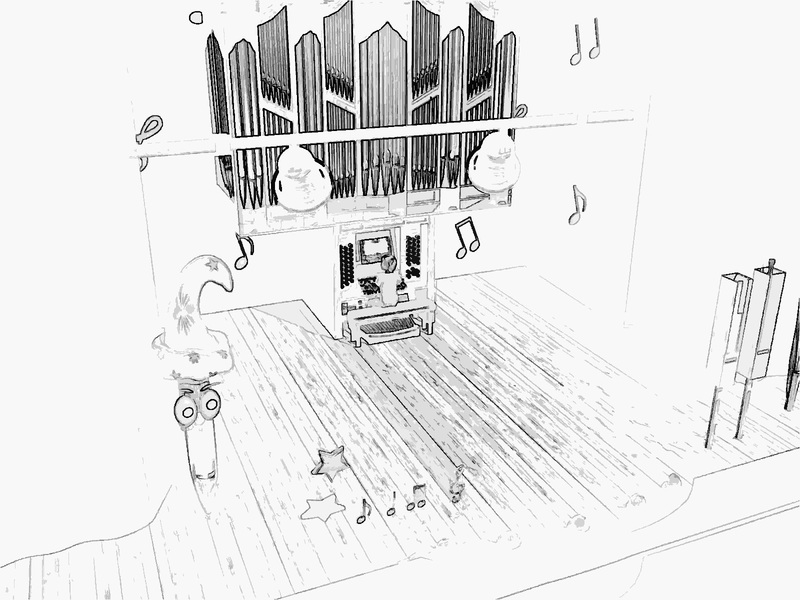 worksheets, colouring pages, Young Person's Introduction to Pipe Organ, etc.). The teaching materials on this site can be customised as appropriate for your particular circumstances. Viewing "Dan and the Magic Musician"
You can view the animation directly on-line by clicking on the large picture at the top of the page "View Dan" , or you can download copies from the links on that page. The 80MB download should give a resolution good enough to support full-screen viewing. The 40MB download will support small screen viewing. If you have a Mac, you cannot view the animation directly at present (new format coming soon), but you can download a free version of RealPlayer which will allow you to download and view the animation from the download links on the "View Dan" page. 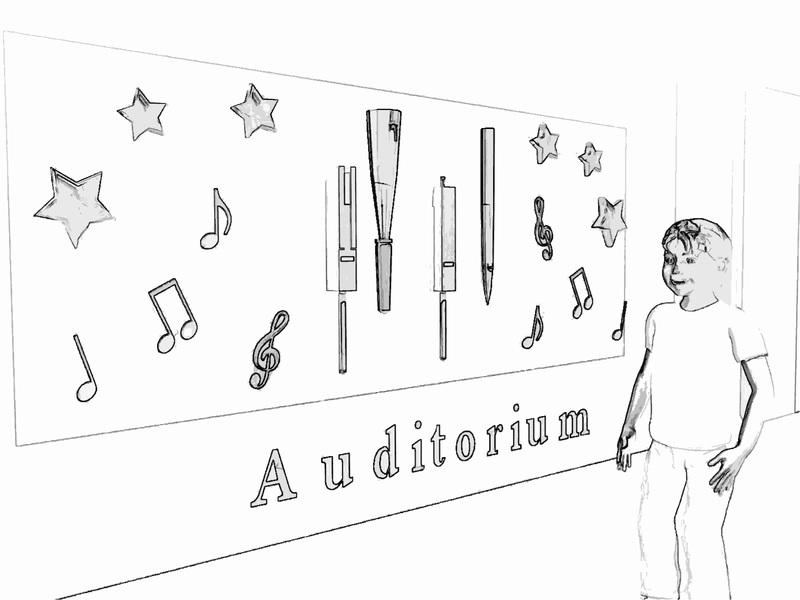 Follow up presentation for use after viewing "Dan and the Magic Musician"
This “script” accompanies a PowerPoint presentation DanTeacher.ppt. The notes are outline facts for each slide in the presentation, for you to use as a basis for your follow-up session; you can point out the features in each slide. For some of the questions, when you have asked for responses, you can also display some images for example responses on the slide. The script is in Word format; you can add to it, and to the PowerPoint presentation, yourself and tailor them for your own use. If a PowerPoint presentation format is not appropriate for your circumstances, you can print out the slides, to use with this script. Three colouring sheets from "Dan and the Magic Musician"
This letter picks up on some of the organ terms used in the animation. The letter is in Word format, and you can alter the text to suit your purposes. 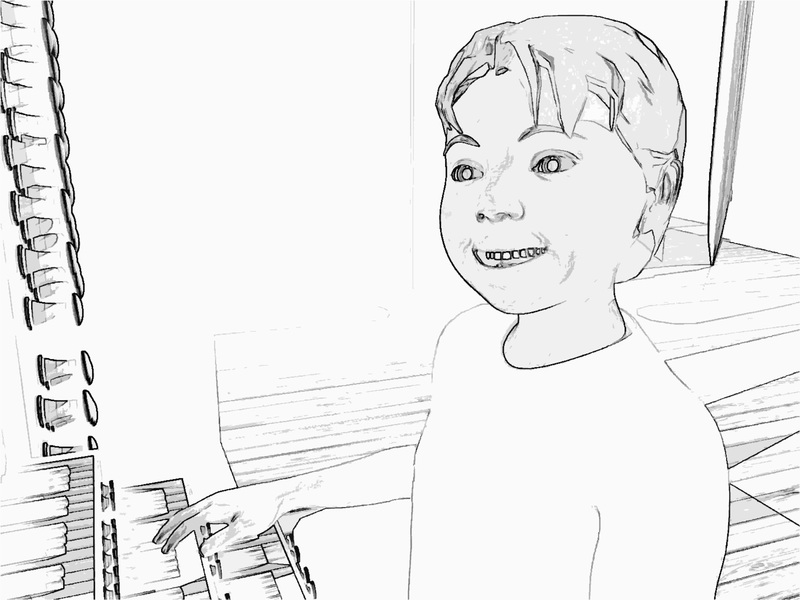 This draft worksheet includes questions to be answered by observation of the instrument visited, as well as some general illustrations and organ-related questions. It is in Word format, and you can alter the text to suit your purposes as required. (Make sure you show your worksheet to the organist(s) at the instrument you are visiting before the visit, so that they can advise about any specific points and have suitable answers and appropriate examples prepared beforehand). "The Young Person' Guide to the Pipe Organ"
"Brief Guide to the Pipe Organ"
To introduce the different sounds the instrument can make. Narrator's scripts and organist's musical directions etc. 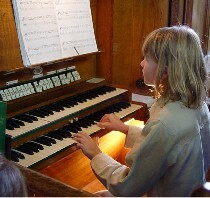 look in the magazine "Organists Review"